Quality is one of the most discussed and least understood subjects in the apparel industry. In Most of the organizations still people equate quality function with inspection and the data of first time pass final inspection is the considered as the quality performance of the company. During my visits to factories I found that they all record defect data / process failure data from different sections/operations (fabric, cutting, print , stitching, finishing etc.). But very few of them analyze that data and plan their improvement strategies on the basis of the data collected from the different processes. A defect, which is found by the buyer/customer, costs a lot to the organization because rework/rejection cost at the customers end is always very high. Also defects those are found and rectified internally increase the product cost and reduce the profit. Continuous inspection in all processes, rework in cutting, sewing, finishing, embroidery etc., and rejection in each stage increases cost of the product. Building quality in the process by having an effective Quality management system, skill upgrade trainings to operators, supervisors, production heads and investing in R&D help organization to prevent defect at source, with very less investment. This is majorly contributed by claims & discounts on Packing failures, workmanship failures, stains, damages, etc. Lose of sale due to short quantities; discounts on delay in shipments due to rescreens are also accounted under external failures. Major contribution is due to sewing rework, garment left over due to poor quality, fabric rejections due to poor quality, air shipments due to quality failures. Below Pie represents the distribution of internal failure cost. From Wages and Salaries of Quality staff and associates. In the overall COPQ, Investment of Prevention cost is very minimal, little efforts are being put in Research and Development, Training and Improvement initiatives. COPQ is having a major impact on the apparel industry, which is contributing approx. 40% of conversion cost. Poor fist pass quality across the manufacturing process is the primary cause for high COPQ. In most of the originations I haven’t found any system where they record the cost of rework in stitching and finishing or the difference in cut to ship ratio due to poor quality output. 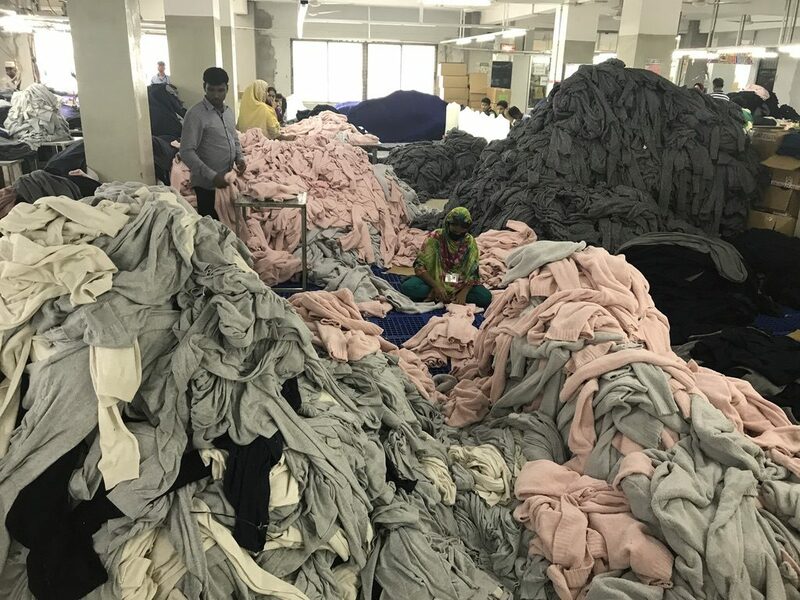 An in-depth study of the COPQ within the organization will help apparel manufacturers to identify areas where money is lost due to Process inefficiencies and “not doing right the first time”. By reducing the COPQ the manufacturing costs can be drastically brought down. A 50% reduction in COPQ can be achieved by improving first pass quality. So instead of focusing only on productivity or quality control by inspection originations should focus on “right first time” approach.